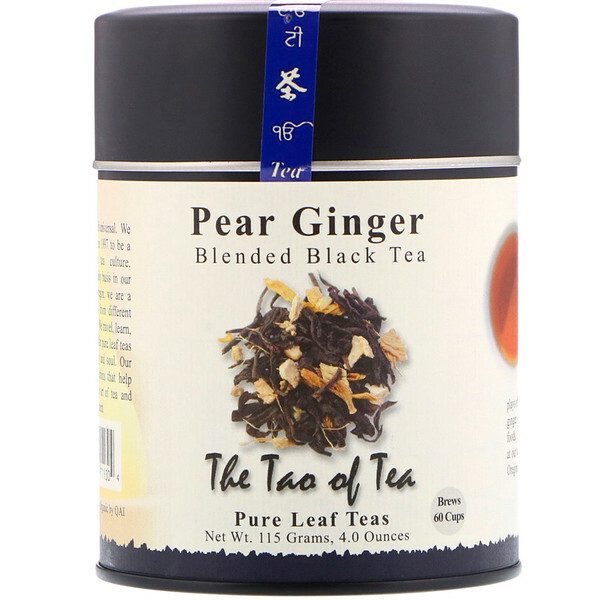 Blend, the Tao of Tea a refreshing, delicious combination of full-bodied, smooth Assam black tea from India with refreshing pear essence, dried ginger and calendula petals. The sweetness of the pear plays off the slight tartness of ginger. Pairs well with slightly spicy foods. Crafted blended in small batches at our tea leaf cellar in Portland, Oregon. Representing orthodox manufactured, whereby the leaf is hand-plucked and maintain an unbroken appearance, the tea leaves for this blend are selected fresh during the growing seasons of the year. Sweet, rich, smooth taste. Full bodied brew, without astringency the sweetness of the pear plays of the slightly tart zestfulness of the ginger. Like the Tao, the art of tea is universal. We began our work with tea in 1997 to be a connecting thread for tea cultured. Practicing the art on a daily basis in our teahouses in Portland, Oregon, we are a group of tea enthusiasts from different backgrounds and cultures. We travel, learn, take delight and seek to offer pure leaf teas with great flavor, artistry and soul. Our reward comes through actions that help people's lives, sustain the art of tea and promise a healthy environment. Brew two teaspoons of leaf in eight ounces of pure spring or filtered water at 185 F. for four minutes. Provides at least two infusion. 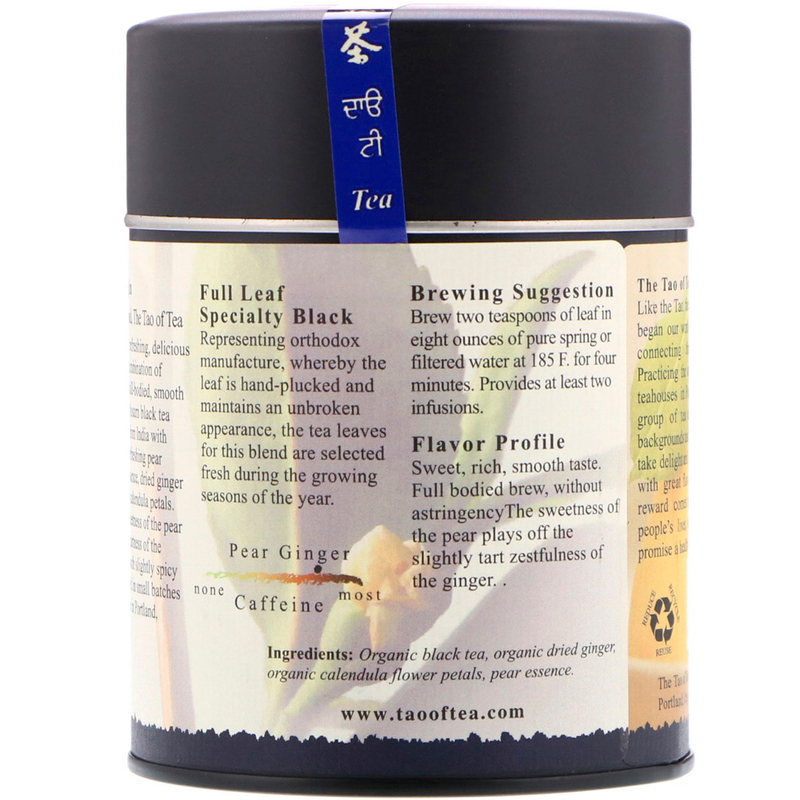 Organic black tea, organic dried ginger, organic calendula flower petals, pear essence.